Good health starts in your gut. Selecting the right Gastroenterologist or GI doctor for you is very important. Your digestive system includes the stomach, large intestine, small intestine, gall bladder, esophagus, and pancreas. 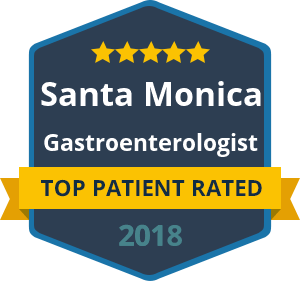 If you’re experiencing ulcers, IBS, Crohn’s disease, or have other digestive or colon concerns you need to find a gastroenterological expert. Dr. David Yamini is known throughout Los Angeles for his ability to provide patients with attentive, comprehensive, and compassionate care. If you or your loved one is in need of gastroenterology treatment, you have found the right doctor. Dr. Yamini is specialized in all aspects of gastroenterology. He is double board certified in Internal Medicine and Gastroenterology. In addition to his certifications he has multiple hospital privileges and his patients appreciate his excellent bedside manner. Contact us today to schedule a consultation with Dr. Yamini.